A few reports would have led you to believe that the 6.12.73 updates for the RAZR and RAZR MAXX were rolling out a couple of days ago, but that wasn’t the mass push to all users. That was for soak test members and a few lucky devices that happened to gain access to it early. 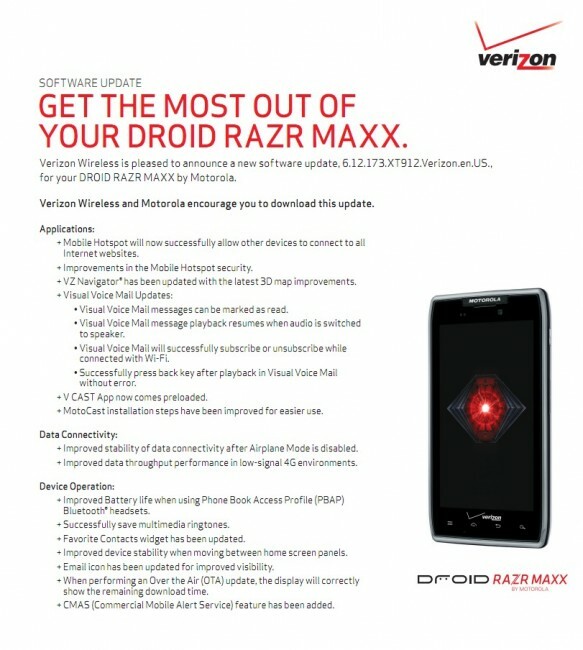 The update for all RAZR and RAZR MAXX owners actually started rolling out last night and this morning. So if you haven’t pulled it yet, head into Settings>About phone>System updates and it should be available. Here is the full changelog from Verizon. 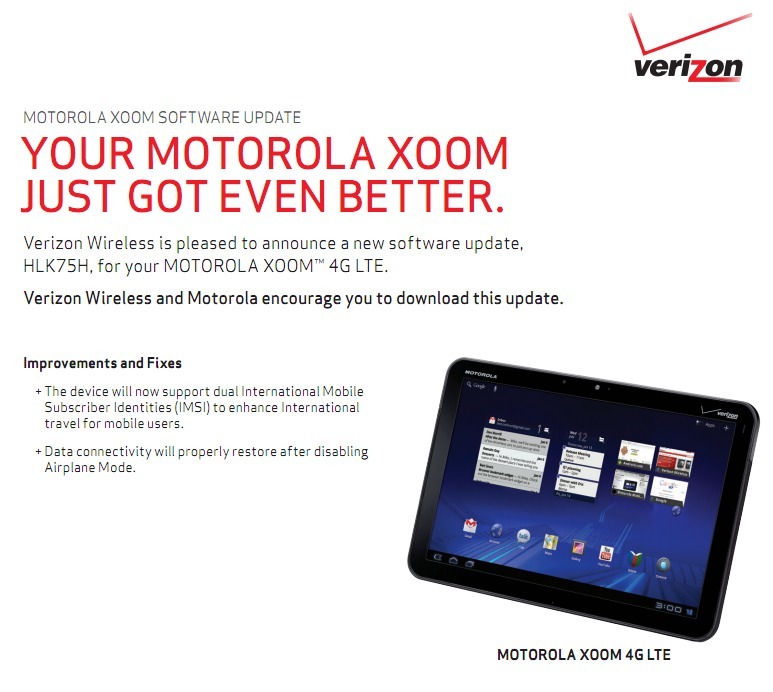 In related news, the XOOM LTE on Verizon is expecting a minor update at any moment. 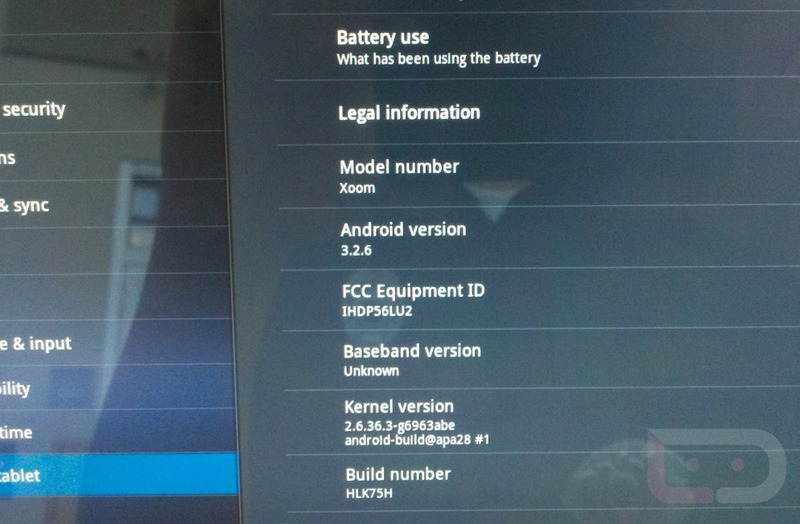 In fact, a couple of our readers have already received it as Android 3.2.6 build HLK75H. It’s minor and has to do with international travel and data connectivity. It is not Ice Cream Sandwich. *Note – You will lose root by updating. However, if you use Voodoo OTA Rootkeeper, you should be able to re-establish it just after updating. Cheers Scott, Brian, Daniel and jason!